Jorge Lorenzo joined the Fiat Yamaha Team for 2008 and 2009 seasons as the double 250cc World Champion, after winning the title for two years with Aprilia. Lorenzo was born on 4 May 1987 in the Balearic island of Mallorca, Spain. The first time he ride a motorcycle in the house at a young age and in three weeks time to compete in the race took minicross first. In 1995, aged eight, he won the title in the Balearic and the next year on the island minicross, trial, minimoto and junior motocross titles. Lorenzo graduated to road racing and national competition in 1997 and does not take long to adapt, Aprilia 50cc Cup win in 1998. Although officially too young, a special dispensation in 2000 allowed him to compete in the Spanish 125cc series at the age of 13 and he was making history in the next year to compete in Europe and had been the youngest winner of the European 125cc race. Speed growing up, once again shows that there is no age limit for the rapid rise in the ranking of motorcycle racing, the first robbery carried out to the world stage with Derbi at the Spanish Grand Prix at Jerez in 2002, the third round of the season. He did not reach the legal age of 15 until Saturday and therefore missed the first day of practice but unfazed in this paddock and impressed by qualifying for the race, cementing his position in the World Championship during the season as he was overcome with the circuit. Young people aged Mallorcan come next season, winning the first 125cc Grand Prix in Rio de Janeiro and then going to win three races next season, finishing fourth in 2004 and took her tally to nine podium before making a step up in the quarter liter class and switch to Honda engines. Six podium finish and fourth pole position in the 250cc season sealed candidates in the fifth championship and, with the move to the factory Aprilia team, 2006 is widely expected to determine that year. Lorenzo was surpassed all expectations in 2006, dominated the class with eight wins and a record-equalling ten pole, the first clinching the world title convincing. See more than 2007 of the same extraordinary pole position and nine saw him win from each one of them, he claimed the world title in the second penultimate round in Sepang. He also became the most successful Spanish 250cc rider of all time in the process. 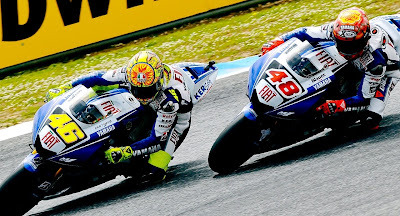 2008 saw Lorenzo make a step up to MotoGP with Yamaha, where he will partner Valentino Rossi in the Fiat Yamaha Team. A colorful character, Lorenzo has a penchant for exuberant post-race celebration, which makes him a popular figure with the fans. His nickname 'X fuera', is an allusion to the flamboyant style of overtaking on the outside. If you are the type of person who likes to watch the race, so you might want to consider buying some tickets for the world's best motorcycling. There are many different races every year, but like most sports, if you really want to enjoy world-class entertainment, you're going to want to watch the best riders in the world to compete. You can watch competitors from around the world participate in competitions, which will surely take your breath away. If you do not like to run, but a friend, partner or spouse is doing, so the tickets for a world class motorcycle race can be a great gift. 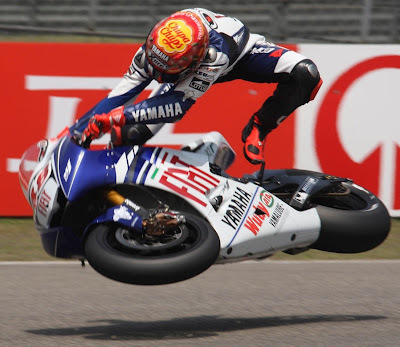 In this article you will learn the advantages of buying tickets for the MotoGP.